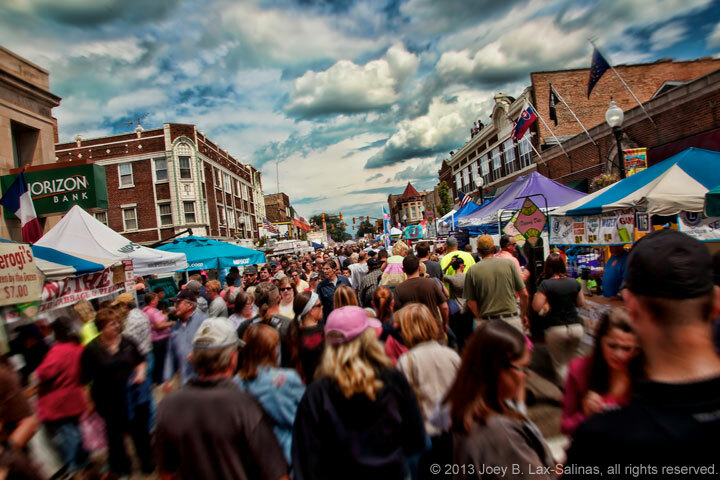 The chase is on for the pierogi at the annual Pierogi Fest in Whiting, Indiana. Held annually in the summer on the last weekend of July, Whiting’s Pierogi Fest has grown to cult proportions. The city closes down 119th Street in downtown Whiting from Indianapolis Blvd all the way to the lakefront and the street is open to pedestrians and vendors who sell pierogis and plenty of other food types including burgers, pizza and more. View more photos of Whiting, Indiana. © 2013 Joey B. Lax-Salinas, all rights reserved. For more information about licensing this photo for commercial use, please visit www.northwestindianaphotos.com/licensing_information/.